The RAF. 's Red Arrows - perhaps the finest close formation aerobatic team in the world, flying their renowned Hawk jets over the Gloucestershire countryside. 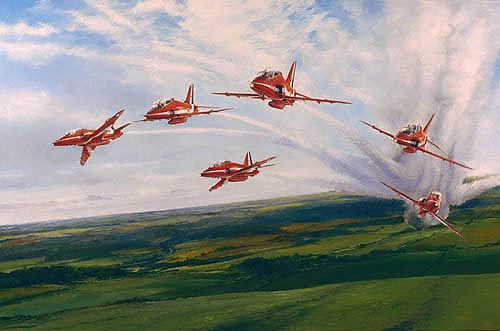 Each print is individually signed by the artist and Red Leader, Sqn Leader Brian Hoskins.